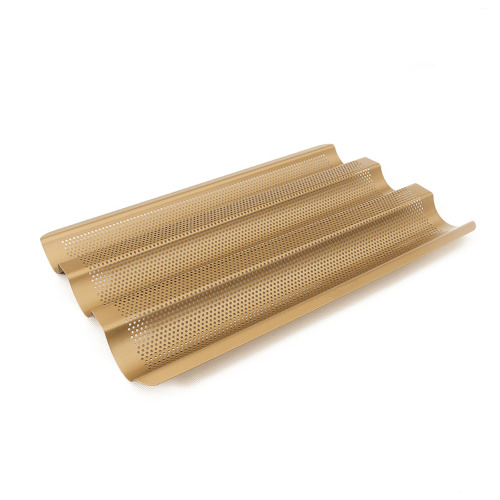 Our french bread pan simplifies baking baguettes and country breads worthy of a Parisian boulangerie. The pan helps you attain crisp golden-brown crusts with ease, every time. 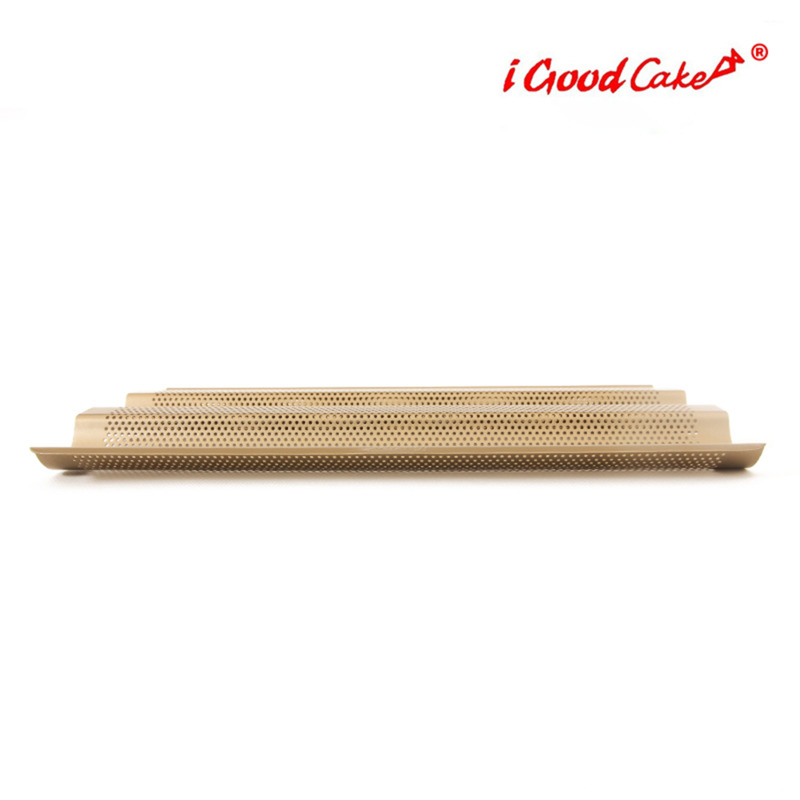 - Commercial-grade carbon steel distributes heat quickly and evenly for uniform baking. 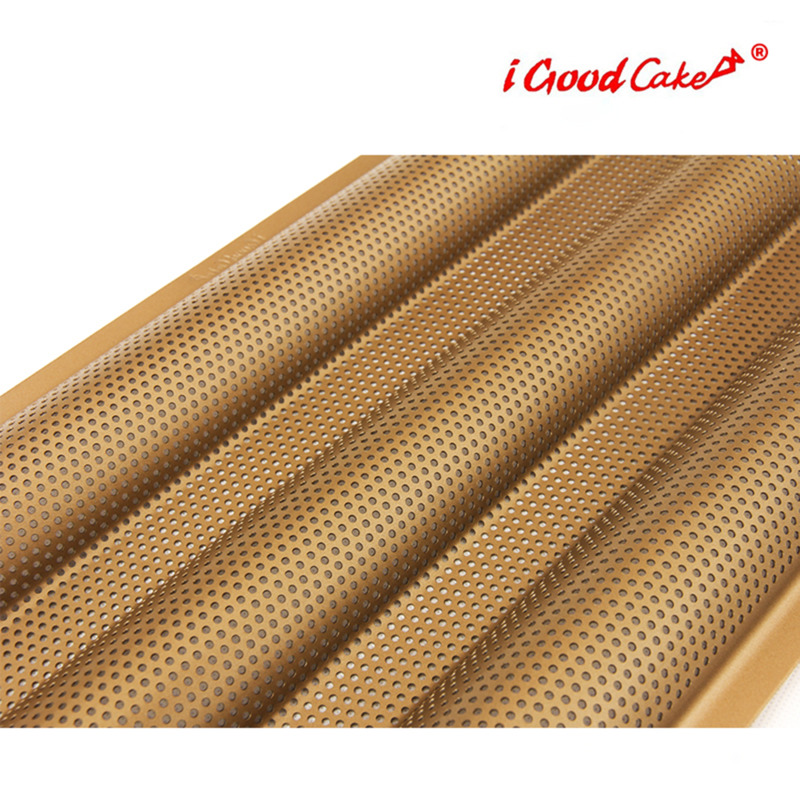 - Perforated surface allows air to circulate freely around the dough. 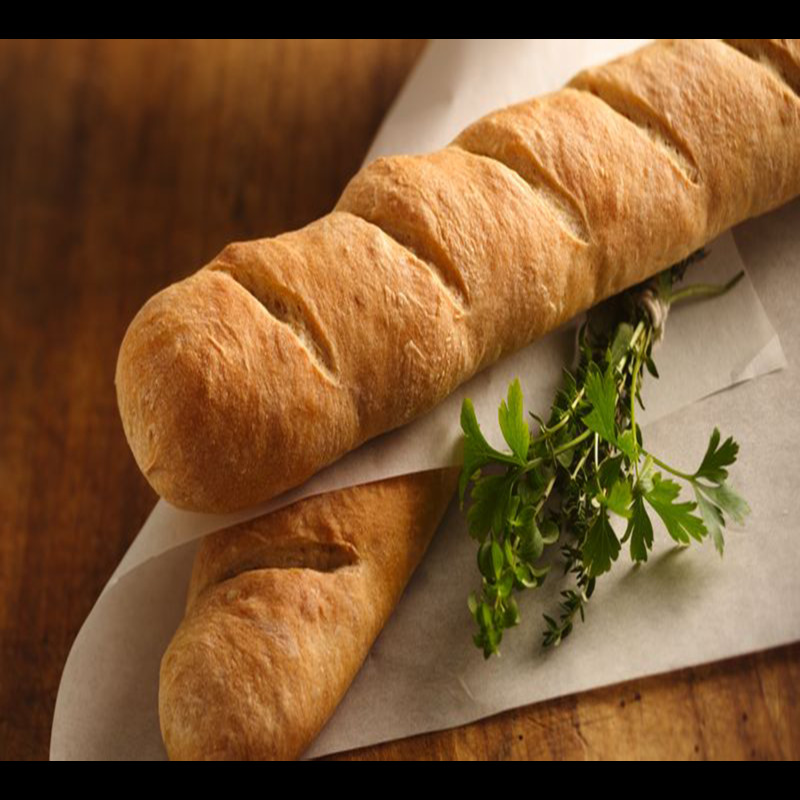 - Curved sides surround bread dough with even heat. 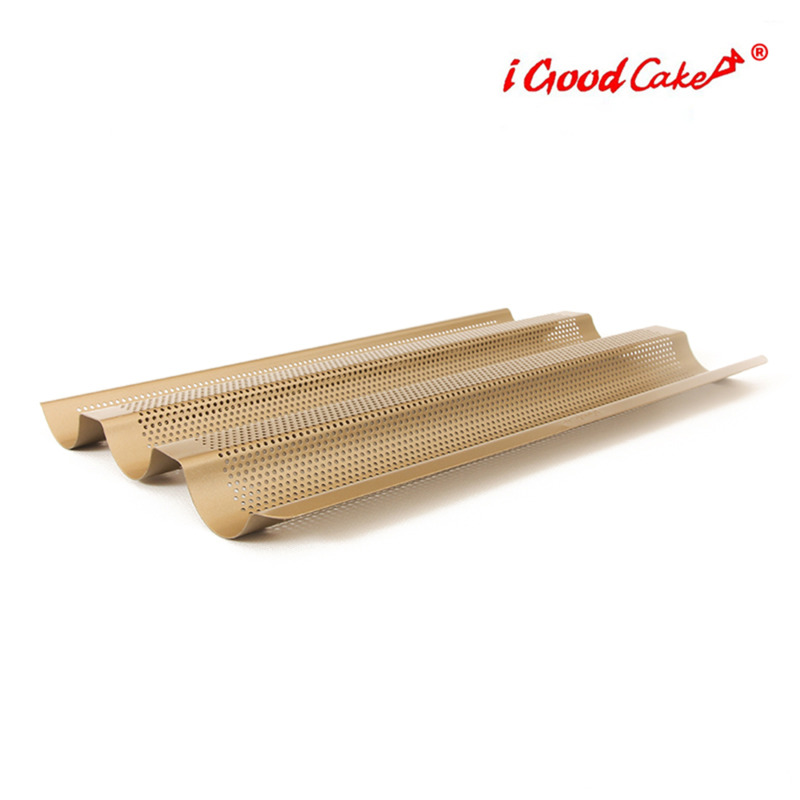 - Bonded to the metal in three layers, the nonstick coating prevents sticking. - Finish won't chip or peel and is highly scratch resistant. - Nonstick finish releases foods easily and cleans up quickly.